Why make poetry a priority when our shelves are full of many choices and our days are full with many tasks? Scholar Lissa Paul makes a case thus, “The history of poetry written for children begins in oral tradition” (Zipes, 2005, p. 1132). It’s a rich tradition that has stood the test of time and nurtured us from nursery rhymes onwards. 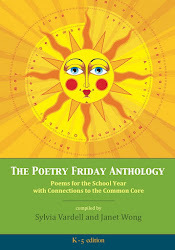 Poetry provides a shared experience bringing adults and children together by virtue of its oral dimension. 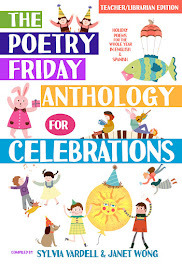 Poetry for children begs to be heard; to be shared aloud and talked about, providing a social connection as well as a language experience. 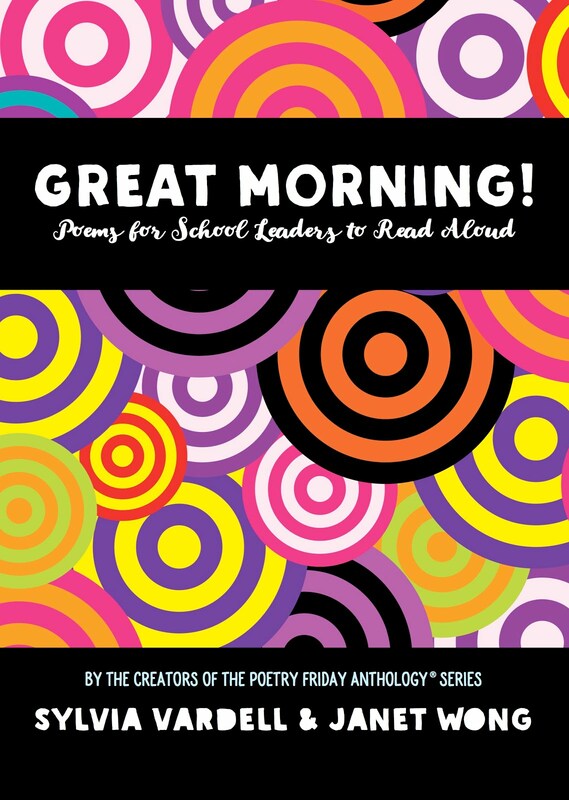 Poetry forms a bridge from children’s oral language development to their first steps in reading and writing, helping children move forward in their literacy development. Indeed, author and literacy expert Mem Fox writes, "Rhymers will be readers; it's that simple. Experts in literacy and child development have discovered that if children know eight nursery rhymes by heart by the time they're four years old, they're usually among the best readers by the time they're eight" (2001, p. 85). This session celebrates the oral quality of poetry for young people by showcasing the current Children’s Poet Laureate, Mary Ann Hoberman who will speak about her life, work, and creative process; inviting participants to join in on interactive reading aloud of children’s poetry using a variety of practical strategies, and concluding with a performance by teen winner(s) of the new Poetry Out Loud National Recitation Contest, a program for fostering confidence and public speaking. Session participants will learn about resources available for selecting and promoting poetry with young people (e.g., poetryfoundation.org; poetryoutloud.org), as well as experience first-hand the special magic of the spoken word in sharing poetry aloud. And that’s exactly what we delivered. I kicked things off by talking briefly about the importance of sharing poetry aloud and inviting young people to join in and participating in that sharing. 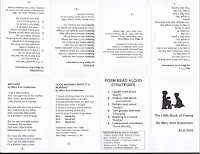 I used Mary Ann’s poetry to demonstrate 6 ways of “doing” poetry orally, from simply reading aloud to reading aloud in unison to joining in on the refrain to using two groups for back-and-forth reading to reading in a “round” to inviting individual volunteers to read single lines. 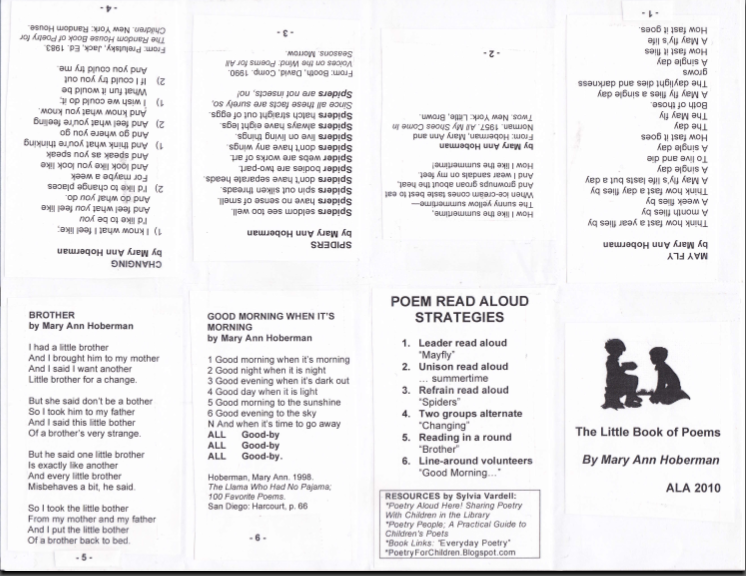 I had created what I call a “magic book” of 6 of Mary Ann’s poems to demonstrate each strategy. This is a simple booklet made out of a single (8.5 x 11) sheet of paper- just fold, fold, cut, and refold. It’s the cleverest thing which I learned YEARS ago and kids love it. You can find directions at WikiHow and I’ll include a pdf of my page here. Then the lovely, twinkly Mary Ann Hoberman spoke about her life, work, and th e creative process. She shared fun childhood memories that made an indelible imprint on her love of the word, led us in performing more of her wonderful poems, and recited her favorite childhood poem from memory—“Seeing Things” by Eugene Field. It was such a treat and the audience was completely enthralled. As a teenager, Mary Ann Hoberman wrote for her school newspaper and edited her high school yearbook. She received a bachelor’s degree in history from Smith College and earned her master’s degree in English Literature from Yale University thirty-five years later. In the mean time, she married and had four children and eventually five grandchildren. She and her husband have lived for nearly fifty years in a house that her husband designed in Greenwich, Connecticut. She has taught writing and literature at all levels and co-founded and performed with a children’s theatre group. But when her first book, All My Shoes Come in Twos, was published in 1957, she turned her attention to writing for children. Mary Ann Hoberman’s poetry often targets our youngest audience with rhythm and repetition, such as her “read aloud” rhyming “stories,” in the You Read to Me, I'll Read to You series. 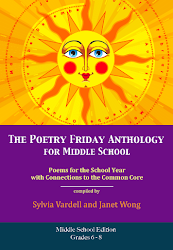 Other inviting collections include The Llama Who Had No Pajama: 100 Favorite Poems (Harcourt 1998), Fathers, Mothers, Sisters, Brothers: A Collection of Family Poems (Little Brown 2001) and My Song is Beautiful: Poems and Pictures in Many Voices (Little Brown 1994). 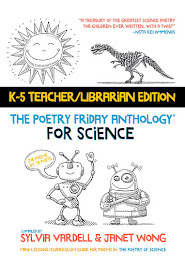 Her most recent anthology is The Tree That Time Built: A Celebration of Nature, Science, and Imagination (Sourcebooks, 2009), a beautiful blending of classic and contemporary poems woven together via vivid science connections. 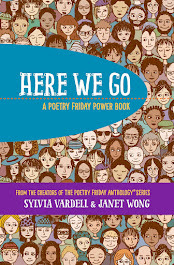 Her work has received many citations including a National Book Award in 1983 for A House is a House for Me, the National Council of Teachers of English Excellence in Poetry for Children Award in 2003 for her entire body of work, and of course in 2008 the Poetry Foundation named her the Children’s Poet Laureate. Then, it was time for Stephen Young, Program Director at the Poetry Foundati on. He served as Senior Editor of Poetry magazine for many years before he became Program Director at the Poetry Foundation in 2003. He has co-edited several poetry histories and anthologies. As Program Director, he develops public events and runs the Poetry Out Loud National Recitation Contest for high school students. He spoke briefly about the value of poetry today, of sharing poetry person-to-person, and about the Poetry Out Loud competition, in particular. It’s a nation-wide competition for high school students that offers an opportunity to learn and perform poetry from memory and earn a $20,000 cash award. This year 325,000 young people participated and it's growing each year. Finally, Amber Rose Johnson was up and I was SO EXCITED to have a you ng person as part of our panel—on poetry for young people! 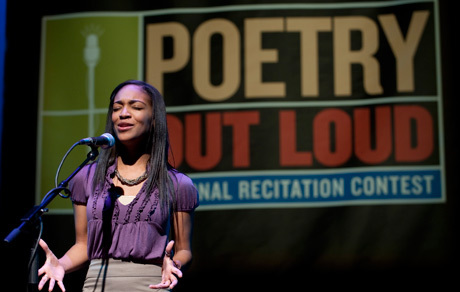 She won the 2010 Poetry Out Loud National Recitation Contest last April, competing against 325,000 high school students nationwide. In the fall, she'll be a senior at Classical High School in Providence, Rhode Island. She is active in state politics, and participates in Young Voices, a youth-led research and advocacy program. She’s this “slip” of a girl who is dynamic and charismatic and confident—an inspiration for anyone who’s worried about “today’s youth!” She spoke briefly about the process of the competition and her experiences and then concluded with her (winning) performance of “For My People” by Margaret Walker. Oh. My. Goodness. She used her voice, her face, and her whole body to bring those powerful words to life. It was the perfect way to conclude our session and the audience was swept away by her passion and belief. It was another wonderful poetry moment at ALA.
Forgive my tardiness, but Real Life has intervened and I am scrambling to catch up. But I know if I were not able to attend the annual ALA conference and the always fabulous ALSC Poetry Blast, I would want to hear all about it, so here’s my report, better late than never. Next up was George Ella Lyon (who gamely participated in my blog game of Poetry Tag in April with a tender kitty cat eulogy, you may remember). She shared several lovely, thoughtful poems, full of intriguing and layered word repetitions, including “Invocation” and “Open, Open.” She revealed that she has often created homemade books of poetry as gifts for friends and family—a wonderful reminder of how to share poetry with kids and for kids to share favorite poetry with others. George Ella concluded by reading from her new book due out this fall, All the Water in the World, an evocative eco-poem. Tony Medina followed with rousing readings from multiple works including, I and I Bob Marley, Deshawn Days, and Love to Langston. He also read excerpts from works in progress (which is always a treat), including a sampling from a biography-in-verse of Supreme Court justice Sonya Sotomayor and from a manuscript entitled, “The President Looks Like Me.” This guy is not afraid to get political and is adept at channeling a young sensibility about the world’s major players. Speaking of political, grand master Arnold Adoff was up next reading from his first new poetry collection in ten years (he noted), entitled Roots and Blues. He described the selection as “a small suite of poems” and called his poetry “shaped speech” as he shared the staccato rhythms in his distinctive gravelly voice. He also advocated for reading any/every poem three times: first simply for information (like reading a work of nonfiction), secondly for meaning (what is the poem/poet saying), and thirdly for nuance (how does the poem work, make you feel, do what it does). Interesting strategy, don’t you agree? He also noted good poetry says something “always expected, always a surprise.” Such a wise assessment of the ying and yang of what poetry makes possible, I think. The po et of poets, Lee Bennett Hopkins, followed Arnold and read from three of his newest works (the man makes prolific looks pedantic!). 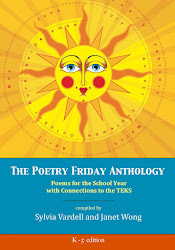 He shared the four opening poems for each of the four seasons in his anthology, Sharing the Seasons (which is gorgeously illustrated by David Diaz). I hadn’t thought of pulling those four out for a separate reading, but loved that idea. 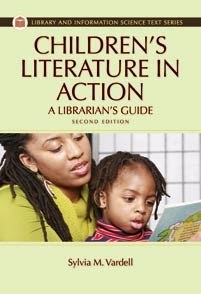 That whole collection is a complete delight and SO school and library-friendly. (More on that later). Lee also read from City I Love, the picture book collection of all his own poetry (which I adore and created a mini-guide for on March 6, 2009.) He concluded with poems (by other voices) from his new collection of “portrait” poems in Amazing Faces, sumptuously illustrated by Chris Soentpiet. Lois Ehlert was up next wearing a distinctive “collage” jacket that looked like it came right out of one of her books. I have always thought of her works as poetry (such clever, direct, succinct rhymes) and she was every inch the poet in her wry, deadpan reading of animal rhymes from Oodles of Animals and Lots of Spots. 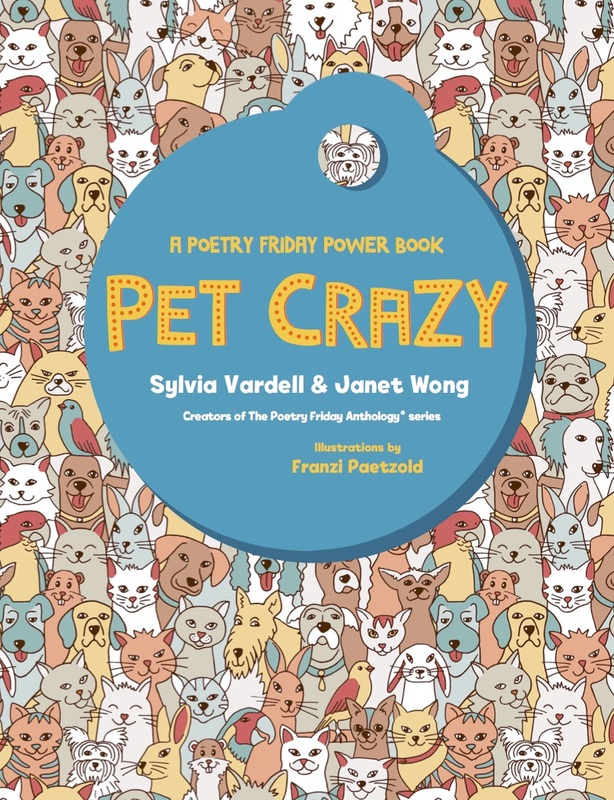 She called her works “poems for very short people” and surprised the audience with her humor and wordplay, channeling the child’s clear-eyed pleasure in both facts and nonsense. The very brave Carole Boston Weatherford opened with singing a song as she took the stage, channeling her muse, Billie Holiday. She read “Strange Fruit” and other selections from her biography-in-verse, Becoming Billie Holiday, sharing some of the back-stories behind the writing of this amazing book. I always love hearing Carole reading from her work—she has such a rich, resonant delivery—but this was extra special. Hearing these first person “memoir” poems in Billie’s “voice” made them come alive for me. This would be such an excellent audiobook. (Talk with Live Oak Media, Carole!) I know Carole has a reading guide and more for the book on her web site, complete with podcasts, too. Next, w e were blown away by Calef Brown performing his poetry completely from memory in rapid fire, pun-filled delivery! He began with two epic political satires. My jaw was on the floor in response to his mastery of memory, amazingly witty wordplay, and outrageous skewering. It was bold and hilarious! He also shared several poems from his upcoming poem collection, Hallowilloween: Nefarious Silliness, including a special poem with a Texas connection (woo hoo!). I can’t wait to get a copy of this gem. We switched gears to hear the grande dame Marilyn Nelson read three “narrative sequences” from three different works. 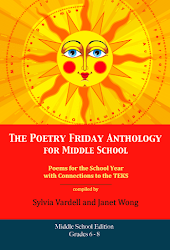 She began with a sonnet from the fictional narrative, Pemba’s Song; A Ghost Story co-authored by Tonya C. Hegamin, then shared from the historical narrative, Miss Crandall’s School for Young Ladies and Little Misses of Color, written in collaboration with Elizabeth Alexander. Powerful works! She ended with several poems from Sweethearts of Rhythm, giving voice to the persona poems featuring a WWII all-girl African American swing band. Inspiring! Mar ilyn Singer ended our amazing evening by sharing selections from her six-starred-reviewed collection, Mirror Mirror. She has created a new form of poetry, the reverso, that is actually two poems—one read in the usual way, the second is a “reverse” arrangement of the same lines, but resulting in a completely different meaning. For example, in one half of “In My Hood,” we get Red Riding Hood’s point of view, and when we read the same lines in reverse order, we see the Wolf’s perspective. Clever, right? The fairytale theme runs through the entire collection, with a variety of tales and characters brought to life in this innovative approach. Marilyn has hit a home run with this collection and it was a great way to end the evening. Look for these poets, their web sites, their works (buy them! ), and perform their poetry yourself. Look for local poets in your area and plan your own blast. I love this idea so much, I moderate a similar event (called the Poetry Round Up) at the Texas Library Association annual conference. 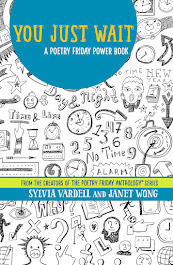 But even if you can’t arrange for actual poets, invite the kids to choose their favorite poem by their favorite poets (or share their own works) in your own poetry “blast,” party, jam, performance, or event. It’s a night to remember! 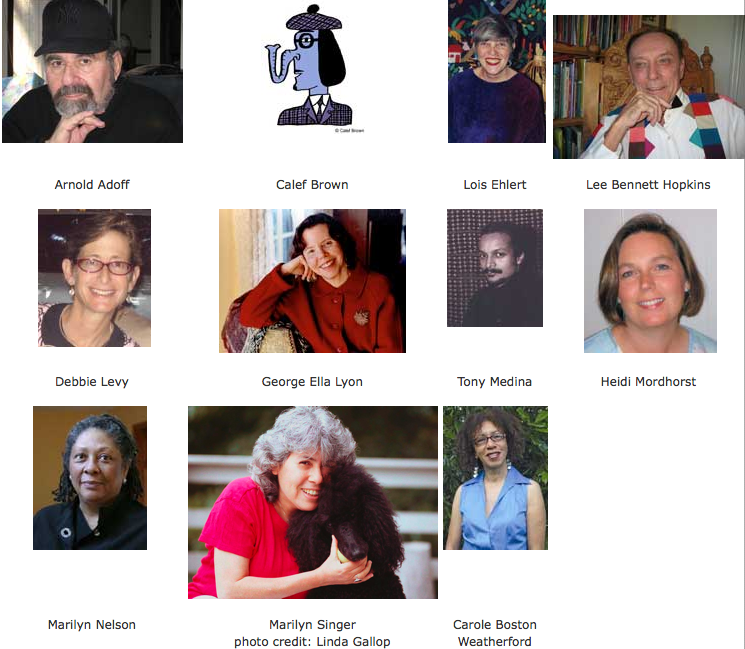 Check out the Fans of the ALSC Poetry Blast Page on Facebook to keep up with next year's event. P.S. Lovely to see so many fellow poetry-lovers at the conference. Thanks for asking about my Mom, too, who after 10 weeks in the hospital moved to rehab last week and is finally, finally doing better.